What are the best examples you have seen of teachers closing the gender gap in education? I wrestled with this question for a few weeks because I thought the question implied that the educational gender gap meant that male students have the upper hand. However, I think the current state of education favors female students. In general, female students are able to sit for longer periods of time without breaks; they are less likely to interrupt teachers in a classroom; and they read more than males do. In other words, the current classroom is catering to female students and punishing male students. Obviously, we have both male and female students who don’t fit these descriptions, so we have to treat each student as an individual. But if we look at the trends, teachers can be open to all learning styles to create gender neutral classrooms. In the eleven years I taught high school English, I noticed the decline of male students in my honors classes. The first year I taught honors English, male students outnumbered female students 5 to 1. The last year I taught, it was the exact opposite. I believe this happened because the current educational reform movement concentrates on testing over experiential learning. I also noticed that in my college classes, my male students, although incredibly intelligent, believe they are horrible students because they didn’t engage with the drill and test teaching methods in high school. Any classroom that acknowledges the differences between genders will do well. Using movement as part of the learning environment will keep males engaged. In previous posts (https://paulinehawkins.com/2015/09/16/top-12-global-teacher-blogger-discussion-september/), I talked about creating games, like Trashball, and changing lessons every 15-20 minutes to allow movement in the classroom. These techniques keep any student engaged, but especially students who cannot sit still for long periods of time. Understanding that females struggle with being vocal in a male dominated classroom will also help teachers close the gender gap. Having Socratic seminars (where students discuss literature for points), small group discussions, and short-answer written responses create varied opportunities for all students to shine and engage. Another change in education that has harmed students who don’t flourish in a traditional classroom setting is the absence of vocational options that used to connect those types of students to school and prepare them for careers. We need to bring back those type of learning environments. An issue that is specific to males is that the definition of “being a man” has changed so much that boys don’t necessarily relate to traditional male characters and authors anymore, so we should make sure that our male voices in literature are as contemporary and diverse as our female voices. Finally, talking to boys and girls early and continuously about their strengths and how to capitalize on them instead of scolding little boys for being active and ignoring little girls who are silent will improve the classroom for everyone. If all teachers in all levels could channel the natural strengths of both genders, maybe our students wouldn’t lose interest in their education. Special thanks to Karyn McWhirter for her help and insight with this post. 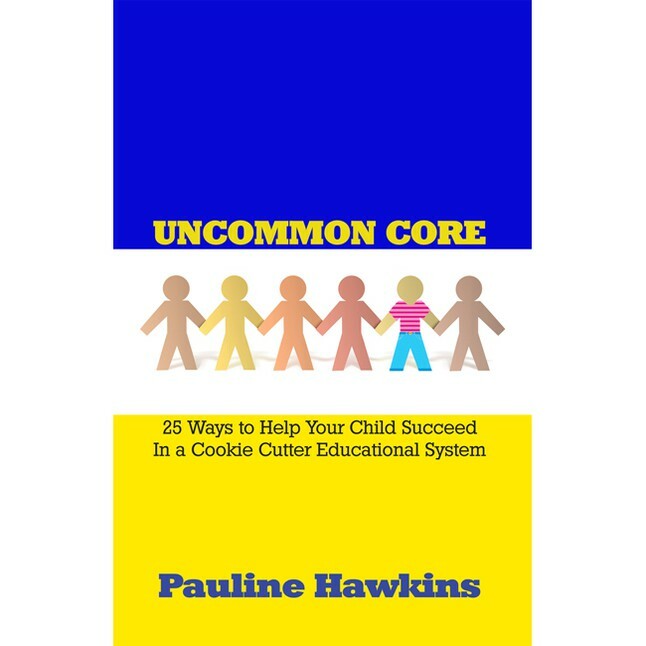 This entry was posted in A Student's Perspective, Education Reformation, Pauline's Soap Box, Top 12 Global Teacher Bloggers, True Reformation and tagged Children, Education Reformation, Parents, Pauline Hawkins, Students, Teachers, Teaching, Top 12 Global Teacher Bloggers. Bookmark the permalink. Pingback: The Global Search For Education: Top Global Teacher Bloggers – What Are The Best Examples You Have Seen Of Teachers Closing The Gender Gap In Education? I agree with so much of your insightful analysis, especially the overemphasis on testing and the lack of activity in the learning process. My one opposing view is related to the “definition of being a man.” What it means to be a man or a woman varies from culture to culture and over time periods within a culture. As an English teacher, I doubt you are advocating throwing away the classics because they don’t show a view of modern American culture. Some would like to do that. (In fact CCSS would minimize the study of all fiction–but that is a different debate.) My view is that what you are seeing as a problem with gender depictions in literature is actually an opportunity for lively debate and comparisons between characters in different time periods. Yes! I agree with you. I would never throw away the classics. CCSS’s over emphasis on nonfiction has made it increasingly difficult to teach literary fiction, in general. Diversity and a healthy mix of male and female literary voices would create lively and engaging discussions. Thank you for clarifying!